The book of Job presents its readers with a profound drama concerning innocent suffering. Such honest, forthright wrestling with evil and the silence of God has intrigued a wide range of readers, both religious and nonreligious.Surprisingly, the earliest fathers showed little interest in the book of Job. 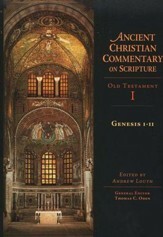 Not until Origen in the early third century is there much evidence of any systematic treatment of the book, and most of Origen's treatment is known to us only from the catenae. More intense interest came at the end of the fourth century and the beginning of the fifth. The excerpts in this collection focus on systematic treatment. Among Greek texts are those from Origen, Didymus the Blind, Julian the Arian, John Chrysostom, Hesychius of Jerusalem and Olympiodorus. Among Latin sources we find Julian of Eclanum, Philip the Priest and Gregory the Great. Among Syriac sources we find Ephrem the Syrian and Isho'dad of Merv, some of whose work is made available here for the first time in English. The book of Job presents its readers with a profound drama concerning innocent suffering. Such honest, forthright wrestling with evil and the silence of God has intrigued a wide range of readers, both religious and nonreligious. Surprisingly, the earliest fathers showed little interest in the book of Job. 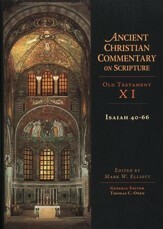 Not until Origen in the early third century is there much evidence of any systematic treatment of the book, and most of Origen's treatment is known to us only from the catenae. More intense interest came at the end of the fourth century and the beginning of the fifth. The excerpts in this collection focus on systematic treatment. Among Greek texts are those from Origen, Didymus the Blind, Julian the Arian, John Chrysostom, Hesychius of Jerusalem and Olympiodorus. Among Latin sources we find Julian of Eclanum, Philip the Priest and Gregory the Great. Among Syriac sources we find Ephrem the Syrian and Isho?dad of Merv, some of whose work is made available here for the first time in English. 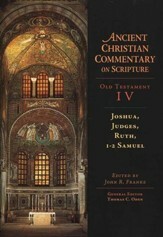 In store for readers of this volume is once again a great feast of wisdom from the ancient resources of the church. a widely acknowledged expert in patristic biblical interpretation, teaches at the University of Rome and at the Augustinian Patristic Institute in Rome. He is the author of several books and Bible commentaries, including (T T Clark). (Ph.D., University of Leeds) is a research fellow at the Augustinian Patristic Institute in Rome. 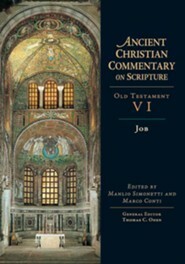 He has served as a translator for both the English and Italian versions of the Ancient Christian Commentary on Scripture. 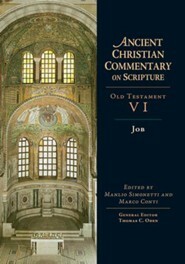 I'm the author/artist and I want to review Job: Ancient Christian Commentary on Scripture, OT Volume 6 [ACCS].